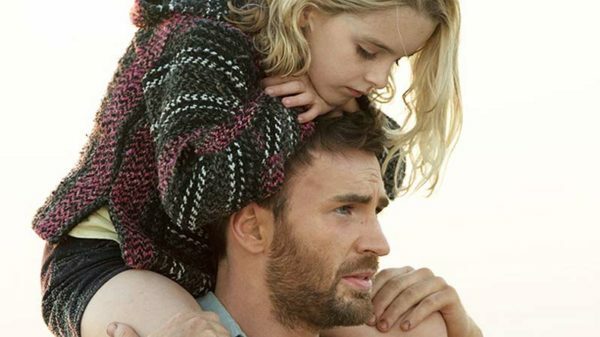 NEW YORK – Endearing and well-acted, director Marc Webb’s drama “Gifted” (Fox Searchlight) might have been a family-friendly movie. Elements in screenwriter Tom Flynn’s script, however, make this thoughtful film – which examines the proper balance between cultivating youthful talent and the need for even extraordinary kids to lead a normal life – exclusively suitable for grown-ups and perhaps older teens. Frank has also had to come to grips with the fact that Mary, like her mom before her, is a math prodigy. Believing, as the audience eventually learns, that his sister’s death was at least partially caused by the demands their hard-driving mother, Evelyn (Lindsay Duncan), made on her to concentrate only on her studies, at the cost of both friendships and romance, Frank wants something different for Mary. So, after homeschooling her to the age of 7, he enrolls her in the local public school. Though Mary’s caring teacher Bonnie (Jenny Slate) soon discovers her gift, and suggests that she would be better off in a more competitive environment, Frank keeps to his plan. He even turns down the possibility of a full scholarship at a private academy. When British-born Evelyn turns up, though, Frank faces a more formidable challenge to his intentions. Evelyn initiates a lawsuit to win custody, and Mary becomes the prize in a bitter courtroom battle between the two. The generally wholesome atmosphere of the proceedings is briefly marred by Mary’s exposure to the aftermath of a bedroom encounter and her use of a vulgar expression. Additionally, viewer discernment is required to sort through a conversation Mary and Frank have about religion. This discussion pits ex-philosophy professor Frank’s somewhat passive agnosticism against the faith that guides his and Mary’s warmly affectionate landlady and neighbor, Roberta (Octavia Spencer). Frank maintains, fairly enough, that no one can know for certain whether there is a God. But Frank is open to belief in general and, when Mary specifically asks about Jesus, Frank encourages her to imitate him. The dialogue implies that religious ideas are wholly unconnected to reason, an exaggeration of the proper dividing line between what we can perceive with our senses and what transcends them. Yet the fact that this exchange takes place against a glowing sunset suggests that the moviemakers’ sympathies may not be on the side of cold rationalism. The film contains nongraphic premarital sexual activity, mature references, including a suicide theme, a single rough term and a couple of uses each of crude and crass language. The Catholic News Service classification is A-III – adults. The Motion Picture Association of America rating is PG – parental guidance suggested. Some material may not be suitable for children.